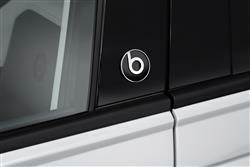 Volkswagen's Polo gets a touch trendier in appealing 'Beats' mid-range form. The brand has teamed up with Californian audio specialists Beats Electronics to create a smarter-looking supermini with high performance sound. The Volkswagen Polo. You know why you'd buy one: quality, class, high residuals: things like that. Qualities that are worthy but a little dull. So what about this, the Polo Beats variant. It's still a Polo, but one with a little more about it. As the name suggests, it gets a much better stereo, a 300-watt eight-channel system that's very different to the set-up usually provided in this car. 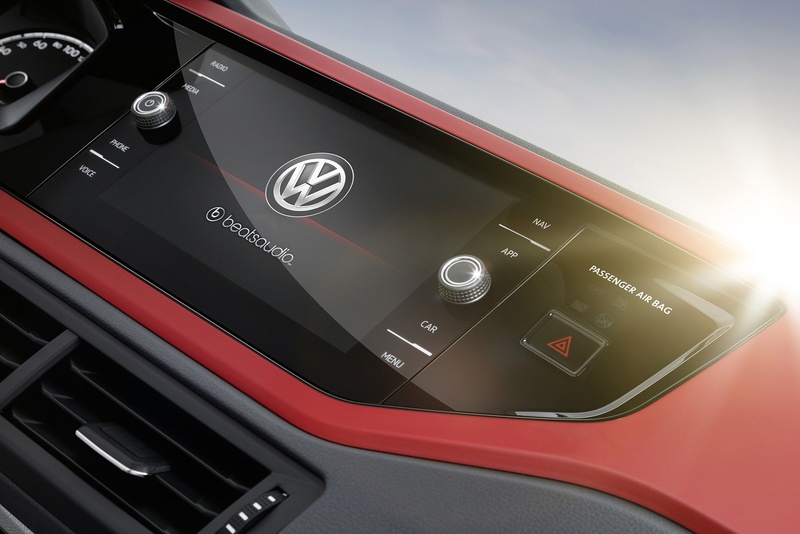 And it looks a little smarter inside and out as well, while also getting some of Volkswagen's latest media connectivity options. There's a wide choice of engines too. Plenty to like then. 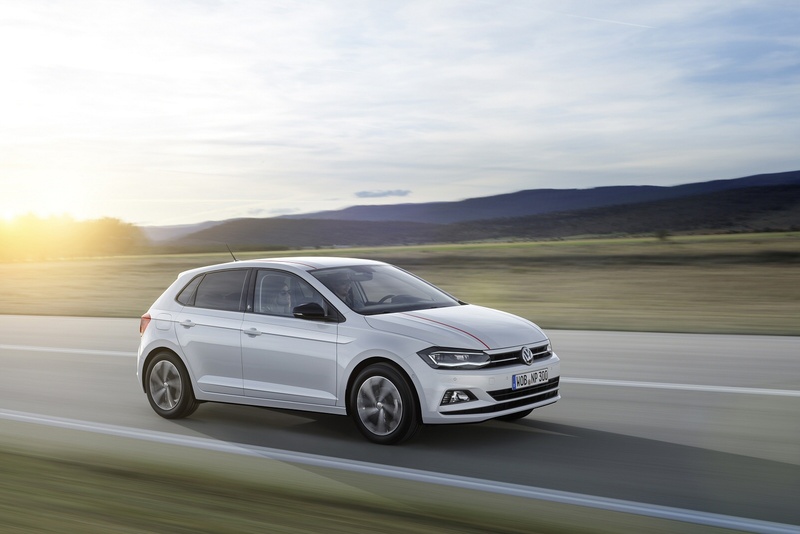 The Polo Beats features a range of EU6-compliant engines. Petrol options are two three-cylinder 1.0-litre MPI units with 65 or 75PS, plus a 1.0-litre four-cylinder TSI powerplant with 95PS that can also be ordered with DSG auto transmission. Should you prefer to go diesel, there is a three-cylinder 1.6-litre TDI engine with 80PS. And on the road? Well, it still isn't as fun to drive as a Fiesta, a Peugeot 208 or a Renault Clio. For most Polo people, that won't matter one jot, many potential owners being quite happy to trade the differences that do exist for this Volkswagen model's superior long distance refinement and more impressive ride. The ride in town is as good as it i eering system is nice to twirl around on city streets too, lacking the remote PlayStation feel of s on the open road, easily shrugging off pock-marked urban surfaces. The st some rival electric set-ups and combining with the large glass area to make parking a doddle. Oh and the seats are some of the most supportive we've tried in a small car at this price point, an important point for supermini buyers. After all, it isn't only long distance journeys that can take up to 2-3 hours. 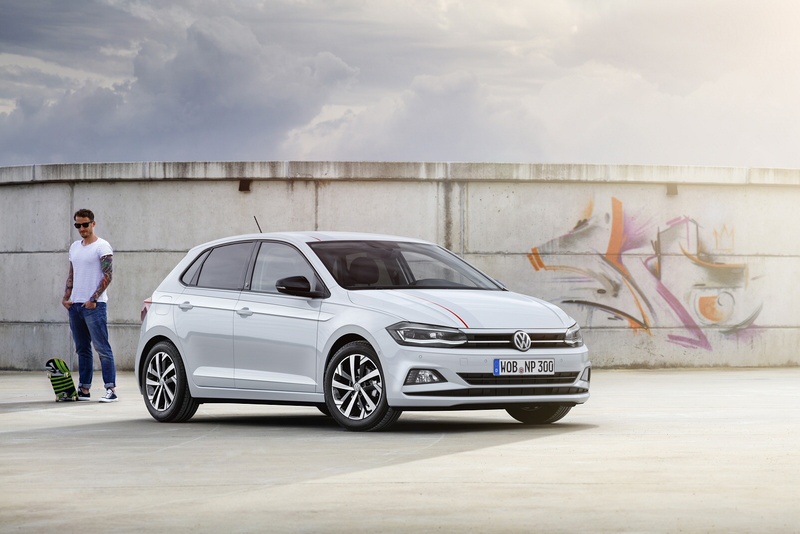 The sharper looks of the Polo Beats back up its class-leading sound system, with standard equipment including 16-inch 'Torsby' alloy wheels. Typically conservative Polo folk may not like the body stripes and brighter seat fabric that come with this trim level quite so much, but the 'velvet red' interior trim highlights look nice and you get sports seats, rear tinted glass, front fog lights, larger 16-inch 'Torsby' alloy wheels and unique 'beats' badging as part of the deal. As soon as you get in, just as in a Golf, you'll sense all the hallmarks of a really well made car, with the same glass-fronted 8.0-inch 'Composition Media' infotainment touchscreen you'd find on Volkswagen's larger family hatch dominating the dash. Gone is the somewhat old fashioned vertically-stacked dash of the previous Polo and in its place, a more horizontally-orientated design is based around the central fascia panel that positions all of the key controls on a higher plane that's more in your direct line of sight. There's more rear seat room than there was in the previous generation model, thanks to this sixth generation design's 92mm increase in wheelbase. And more cargo space too. There's a 355-litre boot, which increases to 1,125-litres when the rear seats are folded down. The Beats special edition slots into the Polo range just above 'SE' versions and prices start at just under £16,000 for the 1.0 65PS variant. So you're looking at a premium of around £2,000 over an 'SE' model. In keeping with its name, this derivative delivers a 'beats audio' system, a 300-watt set-up with an 8-channel amplifier and a subwoofer that sits under the boot floor in the space that in all other versions of this car would be occupied by the standard spare wheel. 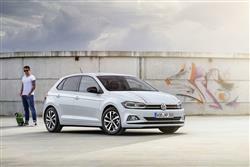 As with other Polo models, this one features the brand's smart 'Composition Media' infotainment system with its smart glass-fronted 8-inch touchscreen. 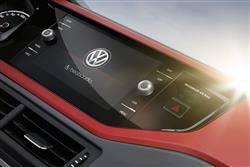 And you can get a lot from it thanks to the standard inclusion of Volkswagen's 'Car-Net' 'App-Connect' system that allows use of the 'Apple CarPlay' and 'Android Auto'/'MirrorLink' systems that enable you to 'mirror' the display of your smartphone onto the centre-dash screen. Other kit includes 16-inch alloy wheels, an alarm, body-coloured door handles and mirrors, a sophisticated trip computer, rear electric windows and a variable-height boot floor. 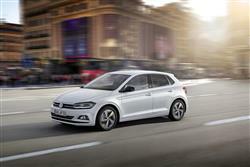 Volkswagen has long been trying to drive down running costs using the clever BlueMotion Technology you'll find on all Polo models. This includes much of the stuff we're now getting familiar with on more efficient superminis, things like battery regeneration to help utilise energy that would otherwise be lost under braking. And a Stop/Start system that cuts the engine when you don't need it, stuck in traffic or waiting at the lights. The 1.0-litre petrol engine most will choose can squeeze 60.1 miles out of a gallon of 95 RON. Emissions are rated at 108g/km. 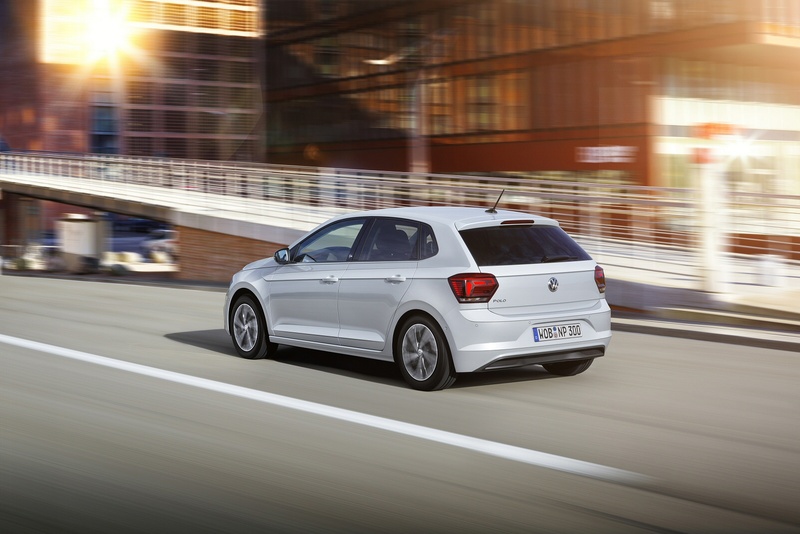 The 1.0-litre TSI petrol unit is a great compromise between economy and effervescence, with a tiny turbocharger boosting power to 95PS. Even here, you'll get 62.8 miles per gallon, with 107g/km carbon emissions. If I had to identify the most attractive buy in the Polo range, it would probably be this powerplant, mated to the DSG gearbox if you're not too cash-strapped. The 1.6-litre TDI diesel variant is supposed to be able to deliver up to 76.3mpg on the combined cycle and record up to 97g/km of CO2. 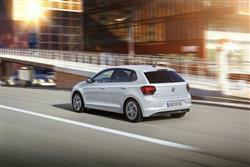 If you�re looking for a new Volkswagen Polo 1.0 SE 5dr Petrol Hatchback for sale, you�ve come to the right place. At Bristol Street Motors we don�t just have the best Volkswagen Polo 1.0 SE 5dr Petrol Hatchback deals, we also offer friendly advice and help with all your enquiries to ensure your buying experience is a happy experience.